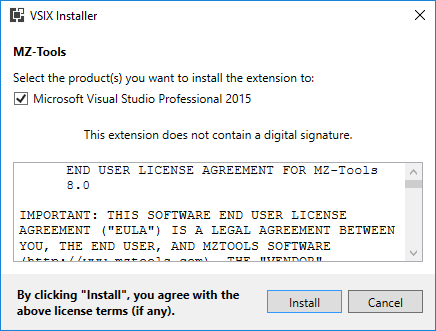 Answering a question in the MSDN VSX forum today, I have learned another change caused by the new VSIX installer (VSIXInstaller.exe) of Visual Studio 2017 that it is worth documenting here. (notice that it recognizes my Enterprise edition as Professional edition). So, this is another implication of the new modular setup of Visual Studio 2017 for VSX developers. 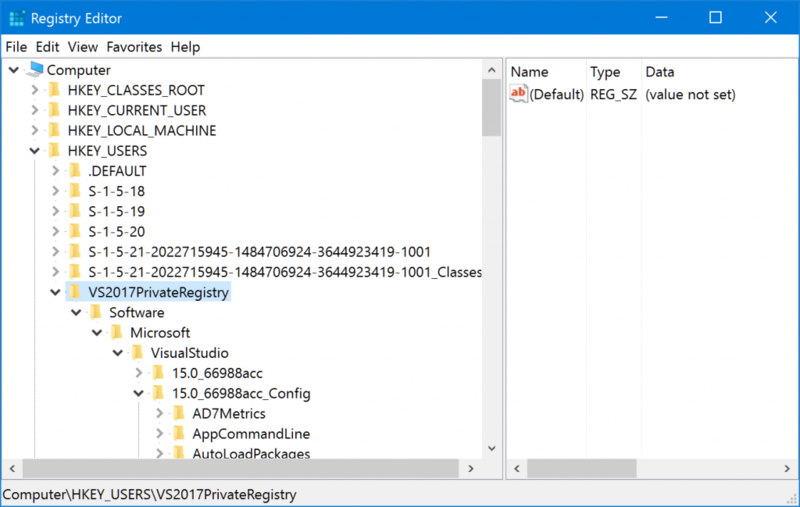 You can query the installed VS 2017 editions with a new Setup API (sample included). So, it’s time to update that NuGet package and rebuild. Microsoft hasn’t announced yet the release date of the final version of Visual Studio 2017 but it seems that we are approaching that date, at least from the Visual Studio Extensibility point of view. Update (Feb 10): the launch date has been announced for March 7. If you haven’t updated your extension to support VS 2017 yet, the clock is ticking. Here you have the guidance to do it. 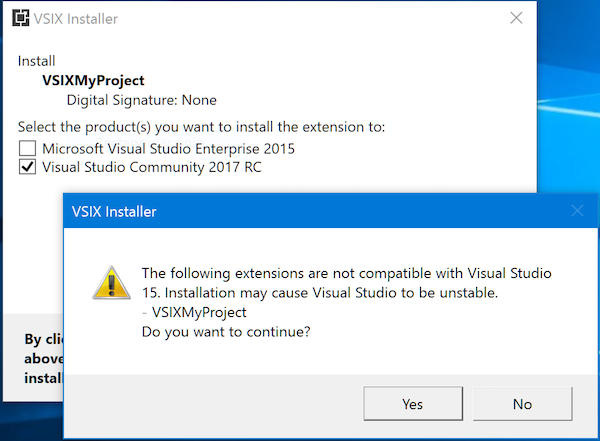 You need to build it with Visual Studio 2017, you cannot use Visual Studio 2015 (at least at this time). 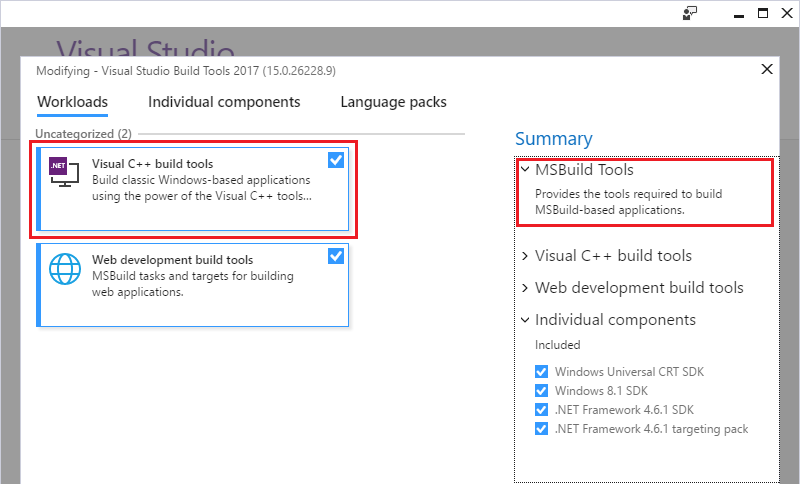 Updated (Feb 7): actually you can build with VS 2015. 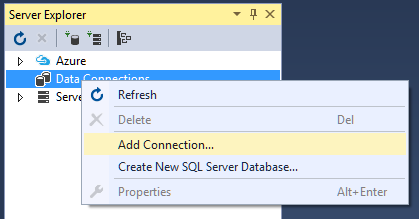 Updated (Mar 3): as explained in the FAQ entry Can I build a VSIX v3 with Visual Studio 2015? 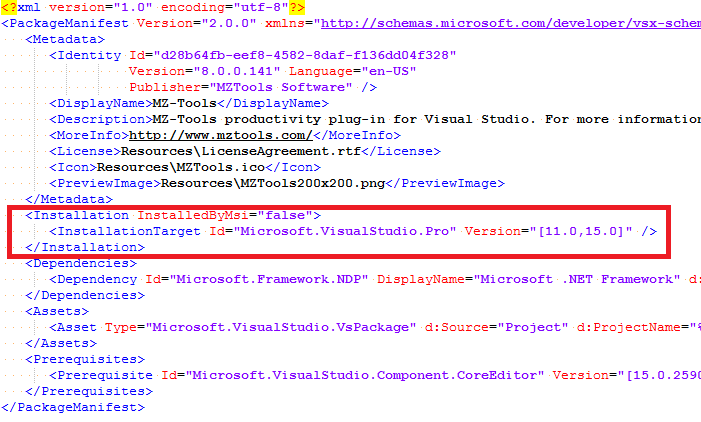 You need an updated pre-release VS SDK (via NuGet). 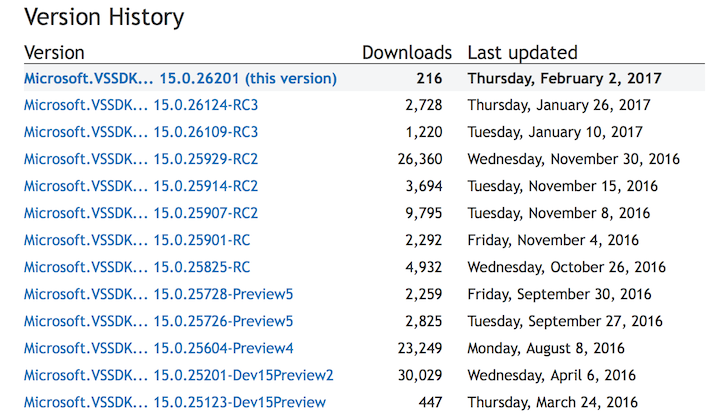 Updated (Feb 7): The Nuget VSSDK 15.0 is no longer prerelease. This VS SDK generates two additional files (catalog.json and manifest.json) inside the output .vsix file (which being a .zip file really, you can rename and unzip to inspect) that were not present in the .vsix generated by the VS 2015 SDK. 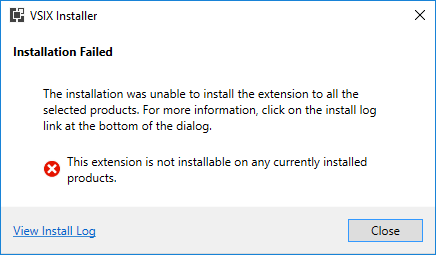 You need to update the InstallationTarget range in the extension.vsixmanifest (likely this is the only thing that you have done). 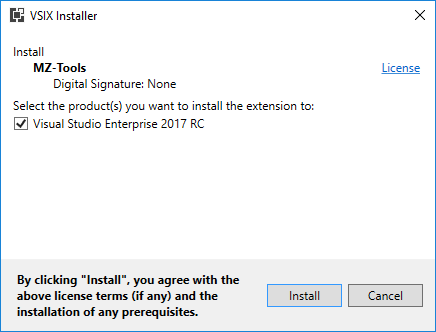 The long answer, with links to resources is on my post Visual Studio 2017 RC announced. 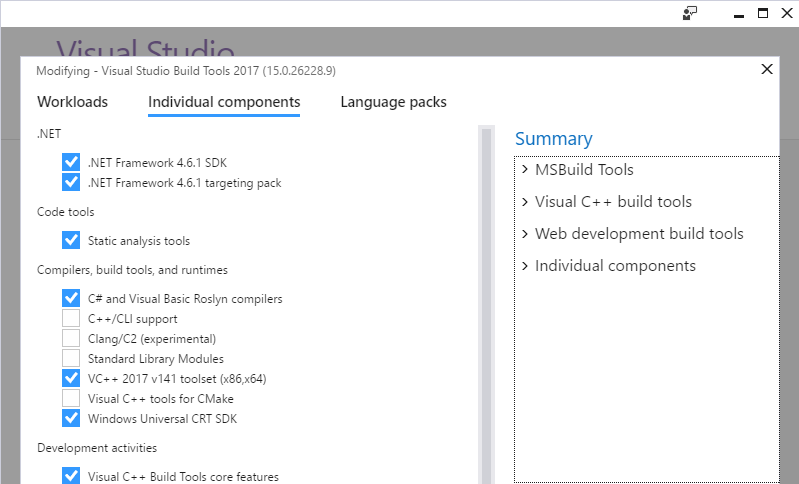 Extensions need some changes, and for advanced topics read Some implications of the new modular setup of Visual Studio 2017 for VSX developers. Create a VSIX with manifest v1 for VS 2010, VS 2012, VS 2013 and VS 2015, and another VSIX with manifest v3 for VS 2017. This is the most suggested approach, but there is a better one. 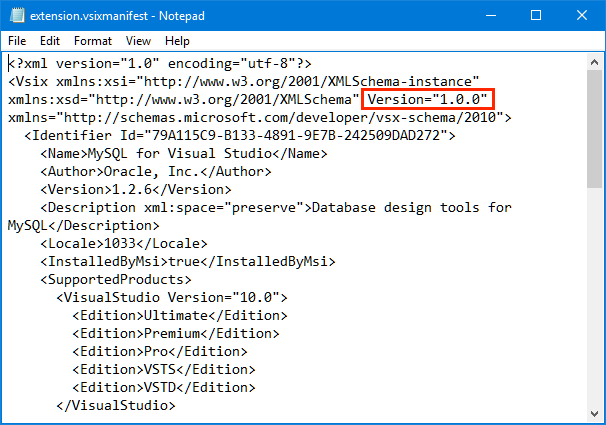 Create a VSIX with manifest v1 for VS 2010, VS 2012 and VS 2013, and another VSIX with manifest v3 for VS 2015 and VS 2017. Why? Because VS 2015 introduced APIs not available in previous versions that you can use in VS 2015 and VS 2017 to make your extension a better citizen, such as How to: Use AsyncPackage to Load VSPackages in the Background and How to: Use Rule-based UI Context for Visual Studio Extensions. 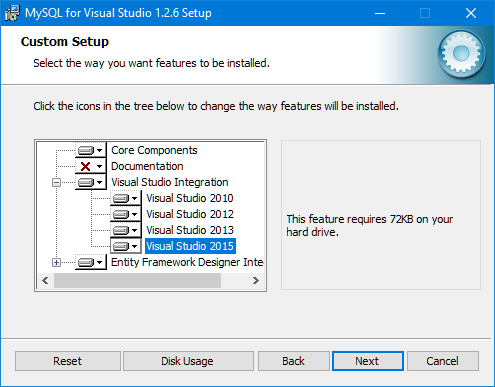 Updated (Feb 7): if you are not targeting VS 2010 but only VS 2012 and higher, you can have a single VSIX using v3 for VS 2012, 2013, 2015 and 2017. To get support from Microsoft, you can become a Microsoft Visual Studio Industry Partner (VSIP) “Basic” level for free and get access to workshops explaining the migration process, or you can use Gitter (Microsoft/extendvs), where people from Microsoft and other VSX developers answer questions, the MSDN Visual Studio Integrate Forum that I visit daily, or StackOverflow. 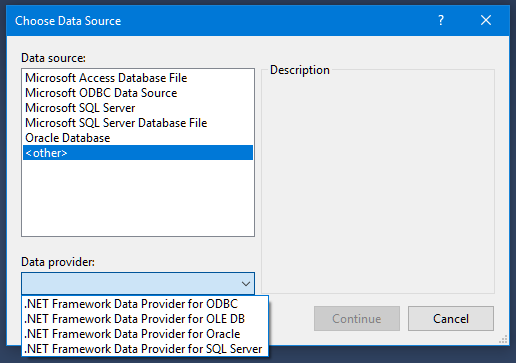 And if you find bugs or want to provide suggestions to Microsoft, you can also send feedback to Microsoft about Visual Studio Extensibility through several ways.